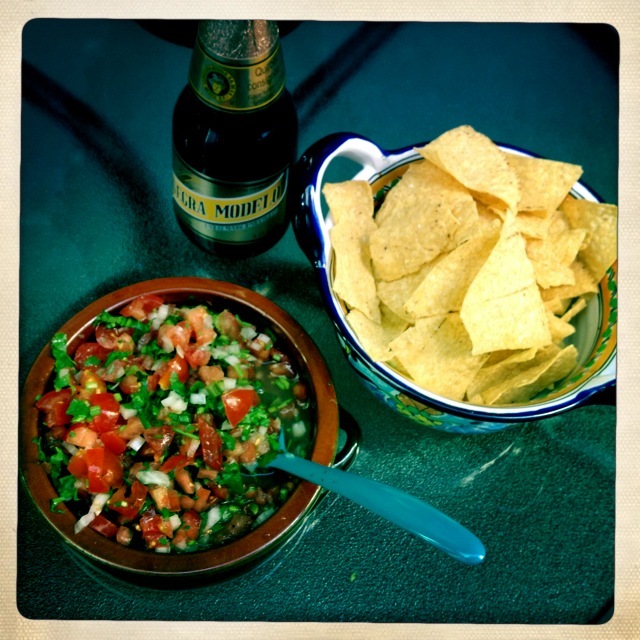 I’ve made the classic salsa fresca, or pico de gallo, many times before. This recipe is very similar, but I got it from a cooking class I took at Altamira Restaurant in Tulum, Mexico with chef Eric Fischer. He called it the Mexican Mother Sauce, because it goes with everything. The thing I learned about salsa fresca from his class was that you don’t use the tomato seeds; not a big deal, but ends up being way less watery that way. 1. Put everything in a bowl and stir it up. Check the seasoning and add salt and pepper to taste. Serve with tortilla chips, or on the side of a meal with beans and rice.